Golf legend Tiger Woods will soon be awarded America’s highest civilian honour, by President Donald Trump. Trump, a lifelong golfer and owner of golf resorts, announced this on Monday, a day after Woods stunned golfing world by winning his fifth Augusta Masters title. Woods came back from the golfing wilderness to end an 11-year majors drought with the win at Augusta, Georgia, on Sunday, earning praise from around the world. Woods has now amassed 15 major titles, three shy of the 18 held by another golf legend, Jack Nicklaus. 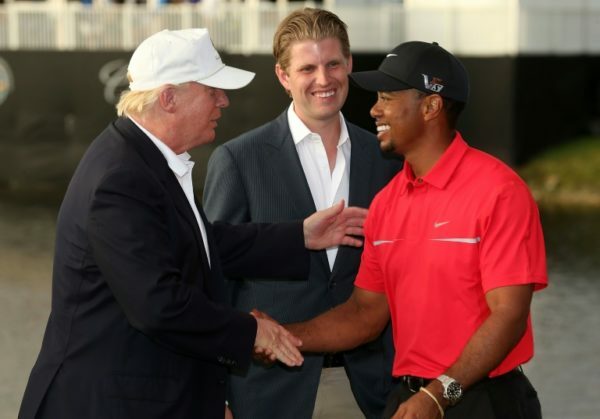 “Spoke to @TigerWoods to congratulate him on the great victory he had in yesterday’s @TheMasters,” Trump tweeted. “Because of his incredible Success & Comeback in Sports (Golf) and, more importantly, LIFE, I will be presenting him with the PRESIDENTIAL MEDAL OF FREEDOM!” Trump said.